New Double Neck G-1275 SG Custom Day! 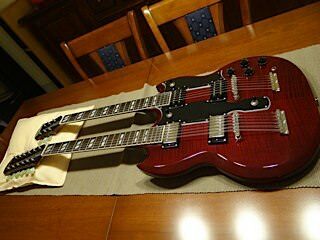 Well...I took a chance and ordered the G-1275 SG Custom from Musicians friend. I did this because our local chain in Canada is out of these and I had serious gas for one. I always liked 12 strings but after watching this video I was sold. So the nail biting began and a little over a week later it arrived. Took the day off work and sat like a new father waiting for a baby to be born...lol. I was checking the tracking like every 20 minutes all day...hahahaha. So it arrived, box looked good, no dents. Double boxed and the guitar stand I ordered was inside too all put in a larger box with paper. I chose USPS and Canada Post because I trust them more than Fedex. Cracked the box open and all looked good. No damage that I can see so far. It looks absolutely stunning. The fretboards are really dark like Ebony. There are a few tiny flaws but almost unoticable. But overall so far very pleased. Totally love this thing! Here's a few pics for now. Will probably upload more later. Sitting having a coffee and a smoke now with a big feeling of relief...hahahahaha. Don't these guitars have plywood bodies though? At least some of them certainly did. Yeah that is what I bought it for. That's what I heard. I'm hoping these newer ones made in China are made of at least Luan(Asian "mahogany") with a veneer like other Epi's. If someone else has popped a control cavity cover and looked let me know. I'll pop mine and take a look when I get a chance. I wonder if they are still plywood? Ya gotta wonder how that little heroin-addict squirt could manage the weight on that. PS, Congrats, OP! My back hurts thinking about it, but I hope you enjoy! That guitar that is just too much to have, you got it! Now play the hell out of it! 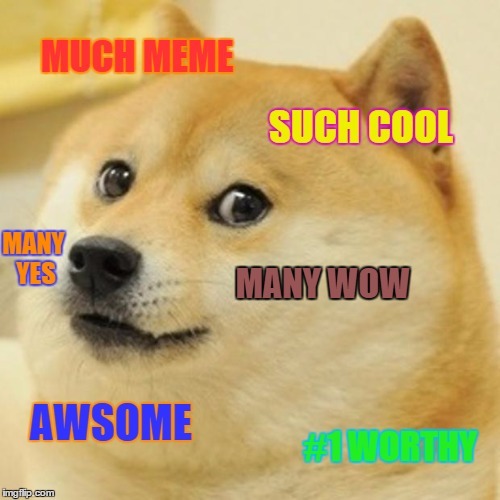 You deserve a cool meme! Lol. It's got some weight but doesn't feel much worse than an Epi Les Paul. Doesn't feel heavy really...its thin. So I popped the control cavity and it looks decent inside. Happy to say its solid wood and not made of plywood like the older G-1275's. It does have a few finish flaws but pretty minor. One little dimple inside the top horn. Don't really see it where it is. And there is a patch of scuffing on the back. Not deep but noticeable in the light. Not a big deal really...I'll be playing this so its already got its first scuffs out of the way...lol. Overall fit and finish is very good. 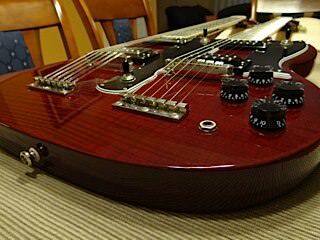 Glad it's not plywood, the fretboard and veneer are gorgeous and it almost looks like one solid piece of wood. Could that be possible on an Epiphone? When looking at the bottom and top in between necks I cant find a single seam where wood would be glued together. No breaks in the grain also to indicate multiple pieces of wood. Anyways pretty killer for the money compared to the Gibson. Thanks Bobby. I hate buying guitars sight unseen...it's always a gamble. I figured Epiphone QC is fairly high and consistent so I pulled the trigger. Now how to tune a 12 string? How much does that full-on thing weigh? I read somewhere around 12 lbs on average but it doesn't feel 12 lbs. To me it feels like a Les Paul...9-10 lbs. Really doesn't seem bad at all. Nice weight but not obscenely heavy. A 2010 model if I recall correctly. I sold it due to the necks being to thin for me at some point. But damn, it was a beautiful guitar ! More flame than my LesPauls lol !